As you can tell by now,I love to bake! 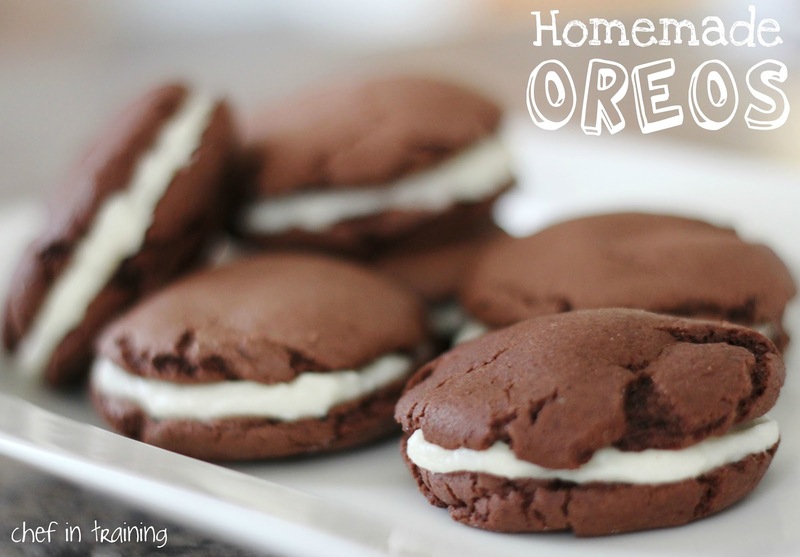 My husband loves oreos, so these cookies have turned into some of his favorites. They are so easy to make and so addicting! Mix and roll into small balls. Gently flatten.Bake 350 F for 8-10 minutes. BUT DO NOT OVER BAKE! Its better to be a little undercooked but not over cooked. The softer the better. Mix frosting ingredients together adding more milk/powdered sugar to reach desired consistency. Have a question, I dont live in USA, what kind of cake mix do you use, maybe I can find it here. The Betty Crocker one would work? for the cookies you mix de box with eggs and oil and thats it? sounds to easy hahaha. Any chocolate cake mix will work! I actually use Betty Crocker :) and yep, and for the cookies its just the chocolate cake mix, eggs and oil! Simple huh!?! I love them! Thanks for asking and let me know how you like them! Have a great day! Made these for my neighborhood block party. Sooooo good! I used another frosting recipe because I had the ingredients bought before I decided to try these out, but I'm sure they're great with that one too. Similar to a whoopie pie, but easier to make and better!!! Thanks for all the great recipes! Hi, I was wondering how many do these make approximately? Thanks! These are very similar to what is known as "Whoopie Pies" in Lancaster County, Pennsylvania., USA. Made popular by the Amish community here. You can also use a spice cake mix, lemon cake mix or any of the newer citrus cake mixes. The fillings can be changed and sometimes marshmallow fluff is used for a quick frosting/filling. Some also mix in a bit of cream cheese to the frosting/filling. Many times they are individually wrapped in plastic wrap and chilled. Very popular at picnics or BBQ's. I just stumbled upon this blog but the recipe for the cookies seems to have disappeared. Do you have a link for them anywhere else on your blog?